Yi He, the co-founder and Chief Marketing Officer at Binance, spoke to CryptoSlate in an exclusive interview on how the exchange decided to launch a fiat-enabled trading platform in Singapore, discussed the country’s regulatory frameworks around crypto, and the state of the cryptocurrency market. Yi He is the co-founder and Chief Marketing Officer of Binance. Since its debut in mid-2017, Binance has experienced exponential growth in terms of daily trading volume and user base, evolving into the biggest cryptocurrency exchange in the global market. In the past nine months, Binance has released a blockchain startup accelerator called Binance Labs, Binance Charity, and a prototype for a decentralized exchange. Earlier this month, Binance officially announced the launch a fiat cryptocurrency exchange in Singapore, equipped with seamless user experience and fiat (Singaporean dollar) integration. On Binance Singapore, users are able to deposit and withdraw the Singaporean dollar to trade cryptocurrencies with the national currency. For fiat-enabled cryptocurrency exchanges, trusted banking partners are of utmost importance. Trading platforms need stable banking service providers to streamline the process of sending and receiving Singaporean dollar to and from exchanges. With strict Know Your Customer (KYC) and Anti-Money Laundering (AML) systems in place that are in accordance with local regulations, Yi stated that the exchange will continue to cooperate with local financial regulators and leaders to grow the cryptocurrency exchange market of Singapore. The exchange is confident in the financial system of Singapore, a country that has often been described as the global financial center with a rapidly growing economy, alongside Hong Kong and Switzerland. Already, with favorable cryptocurrency regulations, Singapore has started to attract large-scale cryptocurrency-related businesses and Internet conglomerates. Earlier this year, Kakao, the biggest Internet conglomerate in South Korea, revealed its plans to establish a blockchain venture in Singapore, which has become an important cryptocurrency market for Asia. In May, the Monetary Authority of Singapore (MAS), Singapore’s central bank and financial regulatory authority, released a consultation paper which explicitly disclosed the agency’s intent to review the regulatory framework for crypto market operators to ensure that it is capable of meeting the demands of the exponentially growing market. With the forward-thinking approach of the Singaporean government towards crypto, blockchain technology and fintech, He stated that the cryptocurrency sector of Singapore presents a rare and exciting opportunity for businesses. 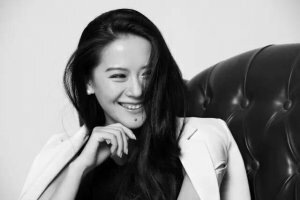 A few years ago, Changpeng Zhao, the beloved CEO of Binance better known to the cryptocurrency community as CZ, sold his house to purchase Bitcoin, the most dominant cryptocurrency in the market. But, the cryptocurrency market endured the fourth worst correction in its nine-year history, as Bitcoin recorded a 69 percent drop from its all-time high of $19,500. Still, Yi emphasized that CZ was hardly shaken by his decision, even though the valuation of the property he sold doubled. Yi is still highly confident in the cryptocurrency industry, especially with the majority of employees at Binance receiving a portion of their salaries in Binance Coin (BNB). With the cryptocurrency market of Singapore, South Korea, Japan, and many European nations growing at a rate, and businesses like Binance expanding internationally, the long-term future of the crypto market remains optimistic.